Servants’ lives were hard. By six o’clock in the morning, the house would be humming with activity: before the family came down to breakfast, boots would be cleaned, lamps filled, grates cleared and new fires laid. Carpets would be swept and furniture dusted and polished, all done as quietly as possible so as not to disturb those sleeping upstairs. By seven o’clock, the housemaids would have brought the lady’s maid and the housekeeper their cups of tea, and the butler opened shutters and doors. 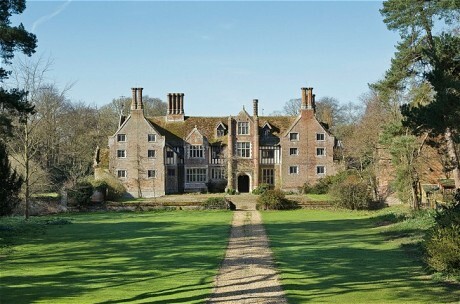 In the next hour, there would be deliveries to check and to organise from the estate gardens and from local tradesmen. And once the servants had eaten breakfast, the kitchen staff would prepare the buffet for the family and the footmen lay out the breakfast table. Morning tea would be taken to family members by the valet and lady’s maid. This level of work continued throughout the day and into late evening. Many of the chores required hard physical labour. Where coal was the principal fuel, it had to be fetched, stored, burnt, and then the considerable mess it left behind dealt with. Black dust from fires could cover everything within a wide radius and grates had to be cleaned every day, but so did all other surfaces within reach. Carpets had to be regularly beaten, requiring considerable physical strength. The oil used in lamps had constantly to be changed and refilled, again a messy job. 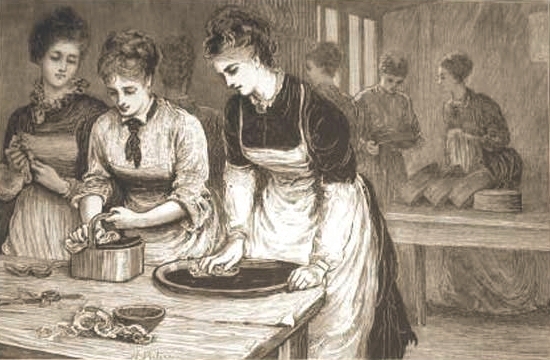 And the cooking and clearing of meals was a huge task without the aid of modern detergents. A servant’s work was seldom finished before late at night. Staff scurried between different workrooms: boot room, pantry, scullery, coal store, still room, linen room. It was a ceaseless and unremitting routine: servants were like human machines striving to maintain an almost impossible level of cleanliness and care. Elizabeth in The Buttonmaker’s Daughter is clear that a servant’s life is drudgery, even in a ‘modern’ house such as Summerhayes. Those servants who worked outdoors also endured very long days. Without modern technology, the upkeep of large gardens and grounds was labour intensive. Before motorised lawnmowers, grass was cut by scythe or horse-drawn mowers. 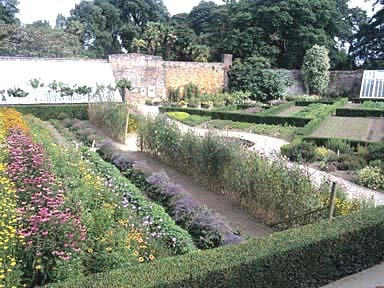 Flower beds were dug and planted by hand, kitchen gardens and hothouses tended – and these could stretch over many acres – hedges trimmed, walls mended, fruit harvested. Without mechanical help, it took a staff of many working from daybreak to nightfall to maintain the gardens to a high standard. The head gardener was as important outdoors as the butler was within the house. He was a man of considerable skill and knowledge. Mr Harris in The Buttonmaker’s Daughter rules his fiefdom with authority. Even Joshua Summer, a tough master, has to bow to his experience. Along with long hours came little personal freedom. By 1900 the notion of a half day off every week was widely expected, but usually couldn’t be taken until the servant had completed their tasks for that day. If they were asked to do anything extra, the free time would disappear and not be recouped. And if they took time off, there was usually a curfew – eight o’clock for juniors and nine for older staff. If they failed to return by that time, they were likely to be locked out. It was hardly surprising that many servants were simply too tired to go out in what leisure time they had. On Sundays, they were expected to attend church dressed in their best off-duty clothes, which had still to be sober in style and colour. They would walk to the local church as a body and seat themselves in the rear pews or gallery. Even employers who were not religious would go to church in order to show a good example. There were three services a day and servants would attend in shifts, depending on their various duties. The rest of Sunday was not a day off. It was not just the hours that were unattractive. Living accommodation was spartan and in Victorian times, highly segregated. 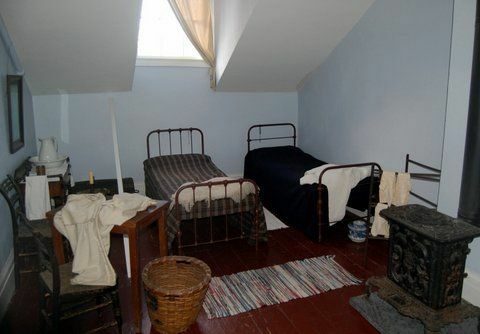 Maids were traditionally housed in the attic, with the housekeeper’s own quarters at the end of their passage, while male staff were lodged in the basement. The butler’s quarters were close by, usually next to the strong room where the silver was kept. Even in the Edwardian era, in the new country houses that were being built, male and female bedrooms were still kept separate. ‘Followers’, as servants’ sweethearts were called, were seen as a nuisance and discouraged. 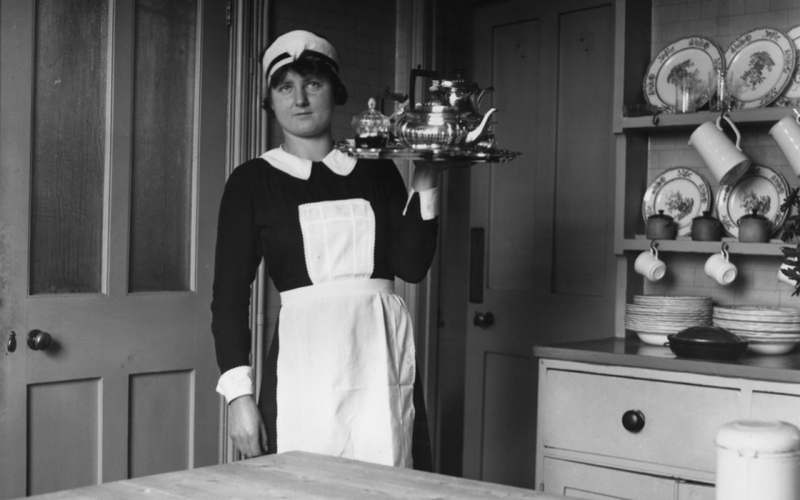 In Victorian times, romance and marriage between servants in the same house was rare – it was considered disruptive to work – but it became more common in the Edwardian era when servants were harder to keep and therefore more indulged. Ivy’s marriage to Eddie, the chauffeur in The Buttonmaker’s Daughter is a good example. Their wedding is welcomed by the family, and once married, they will live together in Eddie’s rooms above the ‘motor home’ (the garage). Despite its rigours, going into service at ‘the big house’ could mean a job for life: the 1901 census recorded 1.3 million workers as indoor domestics. 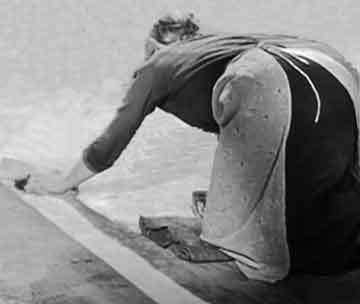 Domestic and estate work was less likely to result in injury than factory or farm work, and the tasks involved were within the capabilities of most men and women, many of them under-fed and under-educated. 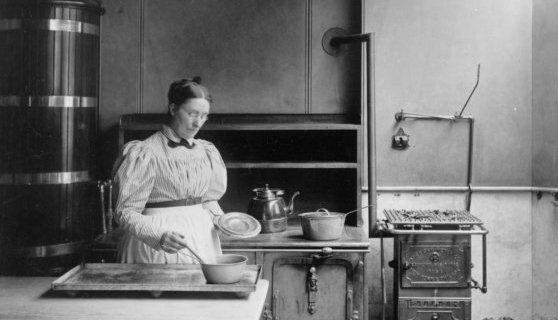 For women, it was almost the only work open to them – cooking and cleaning were traditionally female occupations – and domestic service was by far the largest employer of women right up to the First World War. Servants enjoyed relative job security, but there were other reasons, too, for taking up the work. 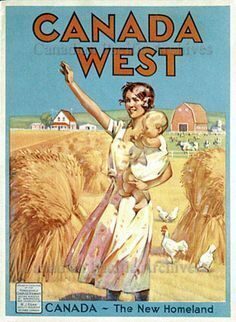 Staff most often came from the local neighbourhood and their parents and grandparents had served the same family for generations. Many servants were proud of the jobs they did and had an emotional stake in the estate – they felt the house belonged to them as much as to their masters. In addition, there was a hierarchy they could climb. The butler and housekeeper were the highest ranking members of the household, with the lady’s maid and valet just below them, and these upper servants could themselves have servants looking after them. In a very large house, the lowliest servants might clean their clothes, make their beds and prepare their food. By the beginning of the twentieth century, technology was making ‘downstairs’ life easier. The introduction of radiators and gas fires meant less need to haul coal from the cellar or endlessly to clean grates. Hot water came from a tap rather than having to be carried up to the bathroom and the abandoning of oil and gas lamps meant the loss of another dirty and time consuming job. Commercial firms arranged for laundry to be collected, cleaned and delivered, leaving the servants only the job of sorting and organising the returned items. The telephone could be used to order daily from grocers and bakers, which meant less labour for the cook and housekeeper. And the work of the stables disappeared, the coachman ceasing to exist and a chauffeur, who was also the mechanic, taking his place. In The Buttonmaker’s Daughter, Eddie makes the impressive transition from driving horses to driving a car. But even without the advent of the First World War, a way of life was dying. Young people especially were unwilling to drudge from six in the morning until eleven at night for a modest recompense. Factory wages and conditions were improving and could be tempting; emigration was being actively promoted by charitable societies and by colonial governments offering opportunities that did not exist at home. In addition, the legislation of 1911 made it necessary for servants as well as their employers to pay threepence a week National Insurance. It was becoming harder and harder for estate owners to maintain their traditionally large staffs. 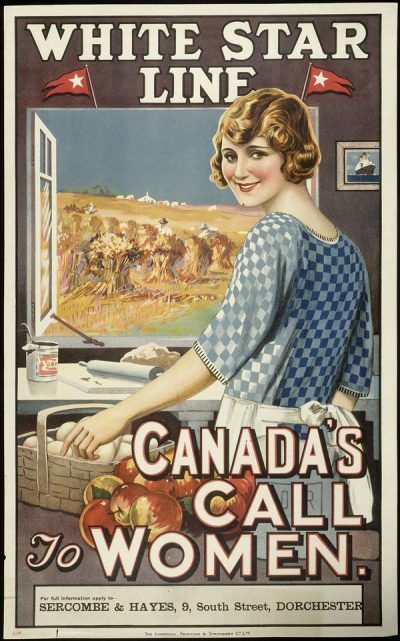 When the First World War began, it took away able-bodied men and encouraged many young women to find more interesting and better-paid work. It marked the beginning of the end of large scale domestic service.